Looking for a healthy pre-bedtime fix? Before you crawl into bed at night, it’s a good idea to fuel your body up well. Some people have the notion that eating before bed will automatically lead to fat gain, but this isn’t quite the case. If you choose your foods wisely and make sure that you integrate the calories that you consume into your total daily calorie intake, there’s no reason why you can’t have a light snack. In fact, doing so can help ensure that your body has quality fuel during the overnight fasting period to assist with muscle rebuilding and recovery. Plus, few people will fall asleep on an empty stomach, so that’s another reason eating before bed might be a wise choice. Let’s look at a few of the best pre-bed snack ideas to consider. Serve these up without guilt whenever you want them. Just do make sure that you account for the total calorie intake they provide. One terrific choice before bed is cottage cheese with a little nut butter mixed in. Cottage cheese is a source of casein protein, which breaks down more slowly in the body compared to other protein sources. This is perfect for giving those muscles the amino acids they need overnight. Add in some natural nut butter for healthy fats and to keep hunger under control and you’re all set. Next, mixing together a can of tuna with a quarter of a mashed avocado and a little salsa if desired is another great way to end your day. 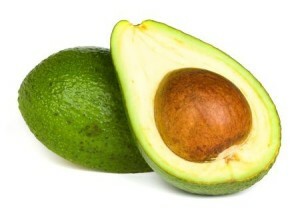 Here you have that protein plus healthy fat combo plus a little dietary fibre from the avocado. This will help keep blood glucose levels stabilised as you fall asleep, ensuring you don’t suffer a blood sugar crash that awakens you partway through the night. Opt for chunk light tuna here if you plan to eat this snack often as too much albacore tuna can put you at risk for high mercury exposure. If a light snack is what you’re after, some jazzed up celery sticks will fit the bill perfectly. To prepare these, simply smear a tablespoon of almond butter into the celery sticks and then add on a couple raises and dried coconut flakes. You’ll get some healthy fats, protein, and fibre here again, all for around 200-250 calories. Feel free to use any other topics as desired just as long as you keep the total carbohydrate count under control. Another light snack that works perfectly before you call it a day is a glass of milk and almonds. Milk contains the tryptophan amino acid, which can help to promote deeper rest and make you feel sleepy, so an ideal choice before bed. To help add more staying power to this snack, a small handful of almonds will work perfectly (15 or so). These will provide you with the dietary fibre and carbohydrates that you need. Finally, for those who are more active and may have just completed a workout session, a bowl of oatmeal with some protein powder is a great choice. The oats are a very slow burning source of carbohydrates, which will help to refill muscle glycogen levels without spiking blood glucose levels. In addition to that, because of the fact that oatmeal releases serotonin, this can also cause you to start to feel drowsy as you lay down for the night. The protein powder will provide the protein this snack needs, so you will be all set. So keep these snacks in mind. Don’t let yourself go to bed hungry any longer. Instead, be smart about your food choices and you can eat without guilt. NextMountain Biking For Fitness, Fun And Adventure!